Actor best known as Jerry on the Disney series Kickin' It. He also provided the voice of Antonio Perez in the 2013 animated film Despicable Me 2. He had his first minor acting role in the 2005 family comedy Yours, Mine & Ours when he was 10. He has made guest appearances on Drake & Josh and Cold Case, and played Andre in the 2009 Disney Channel Original Movie Dadnapped. 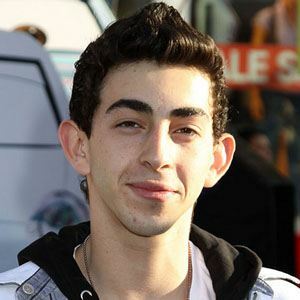 He and his brother Moises previously produced a web series together. He co-starred with Olivia Holt on Disney's Kickin' It.